Dazzling white teeth boost your confidence whether you are just going about your everyday routine or attending that all important class reunion or special event. 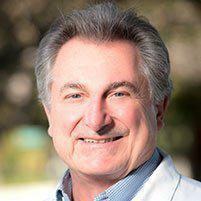 Russell D. di Bari, DDS, of Sunnyvale, California, has decades of experience in teeth whitening and is ready to help you find the best treatment for you. Book your whitening consultation online or call today. You have a bevy of treatment options for whitening your teeth. Options differ mostly by whether you’d like to do the treatment at home or have Dr. di Bari whiten your teeth at the office. Dr. di Bari uses Ultradent’s line of at-home whitening trays for the many people who want to whiten their teeth elsewhere at their convenience. He walks you through the process so you don’t have to worry if you are a rookie to the process. How much you can brighten and whiten your teeth really depends on the type of stains and if they are your natural teeth or restorations. Teeth-whitening is typically not very effective on restorations such as veneers, crowns or fillings. Discolored teeth due to trauma or accidents or the use of certain medications also tend to resist whitening treatments. If your discolored teeth have a grayish tone, they may not bleach at all. Brown-hued teeth are more likely to respond, and yellowish teeth will bleach well. What causes teeth to look dull? Sometimes dull teeth are simply the result of normal aging and a life well lived. Your teeth can darken or perhaps look yellow or stained. According to clinical research, teeth whitening treatments are safe. However, it’s very important to follow Dr. di Bari’s directions carefully. You may feel some tooth sensitivity after whitening, but any discomfort should end in a day or two. If your teeth are dull and stained and you’d like to brighten your smile for your next big event, contact Dr. di Bari’s office in Sunnyvale, California, and he’ll help you recapture your dazzling smile. Book online or call today.